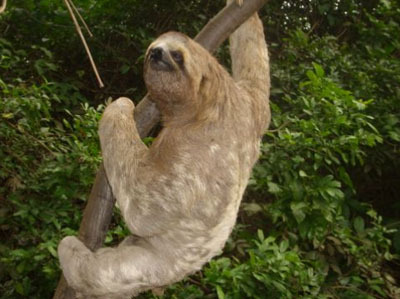 The Madidi National Park, located in the heart of the Vilcabamba-Amboró corridor covers 1.895.750 hectares. 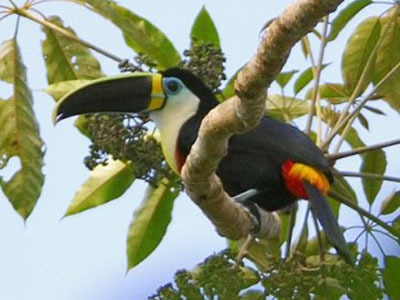 This is one of the regions with greatest biological diversity of the planet, and it includes protected areas both in Peru and in Bolivia, and serves as the link between two of the best-known regions in South America: the Andes mountains and the Amazonian region, which are habitats for unique fauna and flora. The Madidi shelters ethnic groups such as Tacanas, Chimanes, Mosetenes and Esse Ejas descendants of the first Arawak incursions over 5.000 years ago; these are the host communities that preserve their life-styles, cosmovision and traditions that communities give them an interpretation of the forest with a well-prepared mix of scientific knowledge and ancestral wisdom. 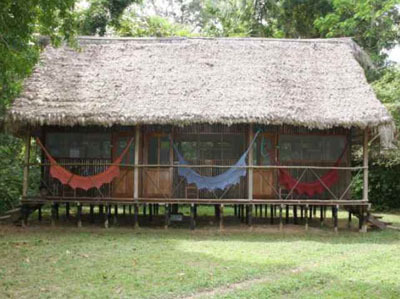 The Chalalán Eco-touristic Lodge, in the Madidi Park, is the oldest and best-known community-owned enterprise in Bolivia. 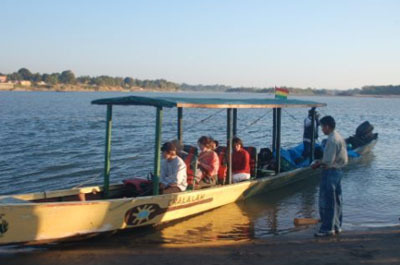 The San José de Uchupiamonas community is made up of Tacana ethnic-origin members and some Quechua migrants who live about three hours away (by motor-boat) upriver on the banks of the Tuichi tributary, initiated this enterprise with the desire of being pioneers in community-based tourism in Bolivia. 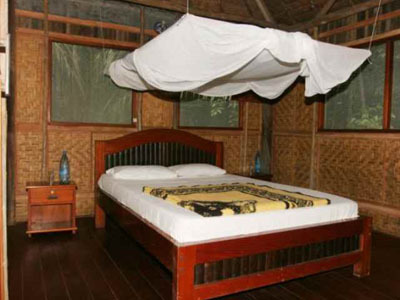 The CHALALÁN Ecolodge stands on the shore of the magnificent Chalalán Lagoon and combines elegance and comfort using local materials to respect the traditional building styles of our community, San José de Uchupiamonas. 07:15 A guide will pick you up at the hotel to take you to the River Beni where you will get on the boat to Chalalán. Our boats are equipped with: roof, comfy seats, life jackets, raincoats and a first-aid kit. Maximum seating room on the boat is for 10 people. 07:30 Travel by motor boat to the Chalalán Ecolodge. 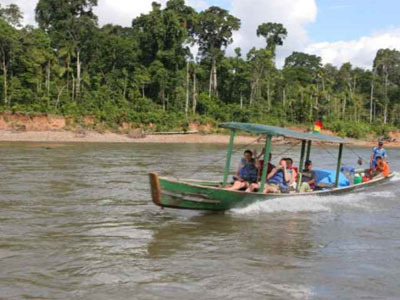 The trip is a great way of seeing the Bala Canyon on the River Beni and getting to the Madidi by going up the River Tuichi. 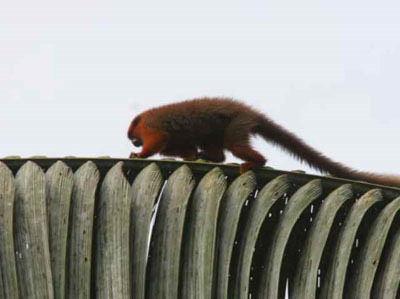 On your way you’ll see different animals and get a feel for the spectacular landscape of the Bolivian Amazon. We recommend you take binoculars. 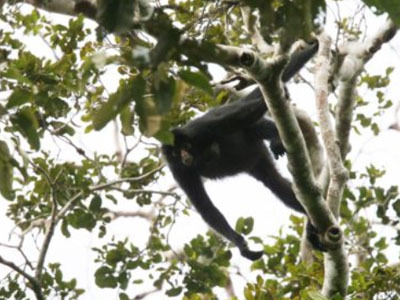 The trip takes around 5½ hours during the rainy season and 6 hours in the dry season, mainly in July, August and September. 13:00 Arrival at the port of Chalalán. 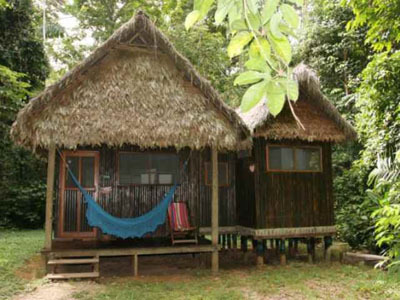 25 minute walk to the Ecolodge along a wide, easy jaguar path. Welcome snack on the shores of Lake Chalalán. Our logistics staff will help you with your luggage. Settle in at your cabin or room. 14:00 Welcome lunch in Ecolodge. After lunch relax in a hammock or swim in Lake Chalalán. 15:45 Short walk along the Paraba path to the viewing point where you can see the beautiful landscape across Lake Chalalán, mountains and Madidi rainforest. Your guide will explain about plants used for building, hardwoods, palms and the traditional and sustainable use of natural resources. Here your guide will talk about the park, our Ecolodge and community. 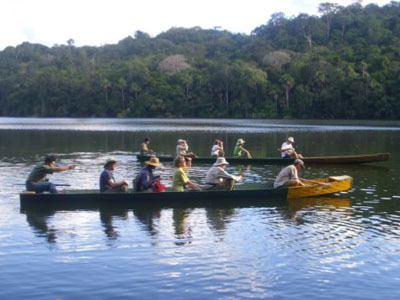 Return to the lake to go on a canoe ride along the shores of Lake Chalalán where you will be able to enjoy the sunset and see monkeys, birds, insects, bats, etc. Return to the Ecolodge for a snack. 19:30 Dinner in the Ecolodge dining room. Day 3: Chalalán Ecolodge – Madidi N.P. 12:30 Lunch in the Ecolodge dining room. 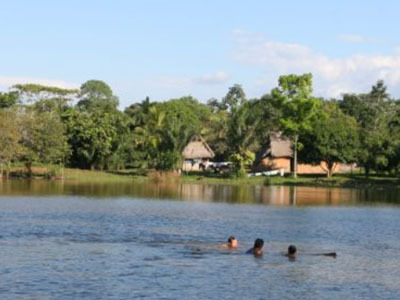 After lunch relax in a hammock or swim in Lake Chalalán. 15:30 Short walk along one of the theme paths to learn about medicinal plants and more about personal interests. 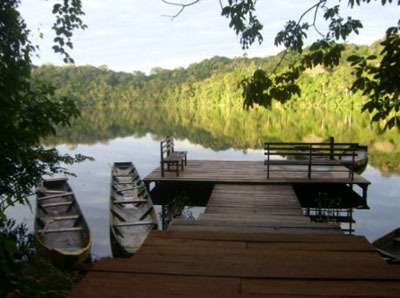 Return to the Ecolodge and choose from the following optional activities: Handicrafts, canoe trip, videos about the community and the Madidi National Park. 19:30 Traditional “dunucuabi” dinner of catfish wrapped in leaves or fish á la “tacuara” inside bamboo from the Bolivian Amazon. *This traditional dinner depends on the availability of the fish and may be offered any night during your stay. 20:30 Short night walk along the Paraba or Silbador path to see amphibians, reptiles, insects, tarantulas, rodents, birds and nocturnal monkeys. This is a great chance to hear the sounds of the jungle. Upon your return to the Ecolodge you can take part in a traditional Quechua – Tacana night with music and dances from the San José de Uchupiamonas community. Your guide will explain the traditions of the Uchupiamonas people. *This activity will depend on the number of guests staying at the Ecolodge and may be offered any night during your stay. 7:00 Buffet breakfast in Ecolodge dining room and then a short walk to the river Tuíchi to take the boat back to Rurrenabaque. 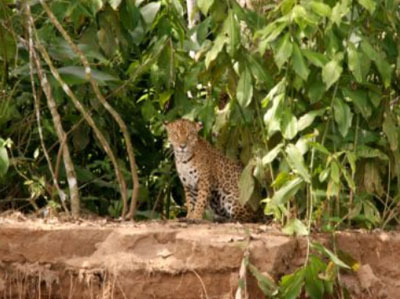 The return walk along the Jaguar or Wichi path can be adjusted to take into account your interests. Please coordinate with your guide. 8:00 Return by boat to Rurrenabaque (only 3 hours). The time is subject to the availability of the boats and flight times. 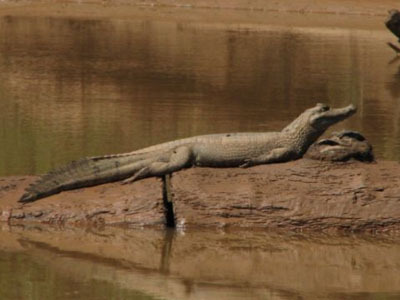 We recommend you stay alert during the boat trip so that you can see the animals along the way. 11:30 Arrive at Rurrenabaque. Transfer to airport and return to the city of La Paz.